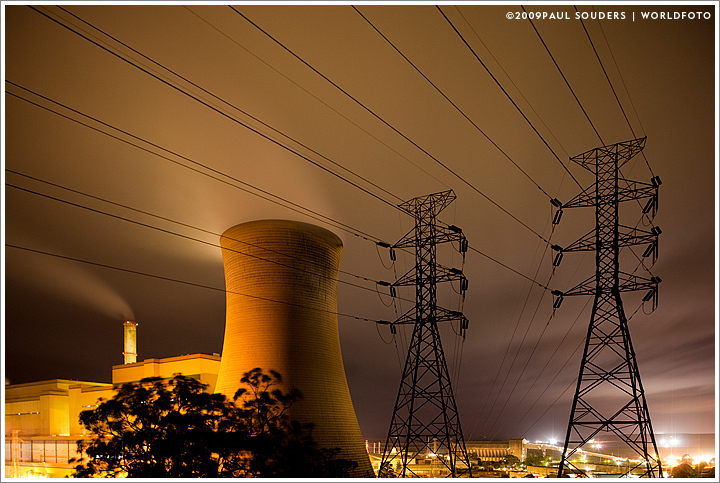 Time exposure of Tru Energy coal-fired power station and high tension lines at night in Yallourn, Australia. Photographed February 16, 2009 with a Canon EOS-5DII camera and 24mm f/3.5 Tilt-Shift Lens. This entry was posted on Monday, February 16th, 2009 at 7:49 am. It is filed under On the Road and tagged with Architecture, Australia, Oceania, Power. You can follow any responses to this entry through the RSS 2.0 feed.